Continuing my annual tradition, this year I acquired some new grapevines from Picnic Day. 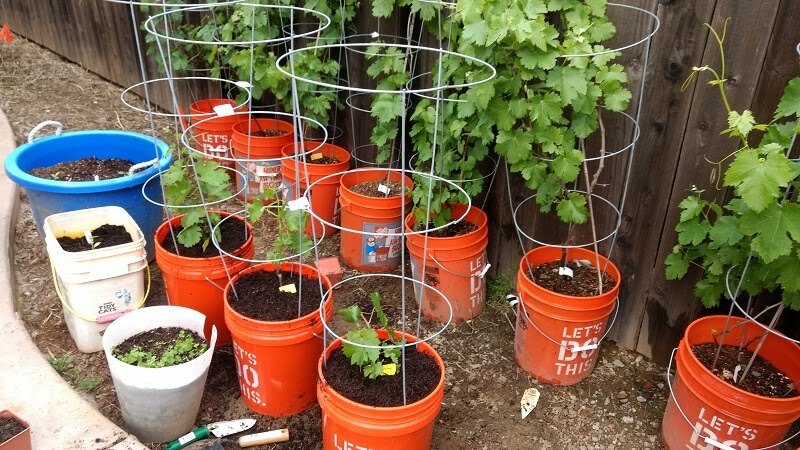 As my current vines have started getting a lot bigger, I've had to space them out to prevent them from shading each other out. 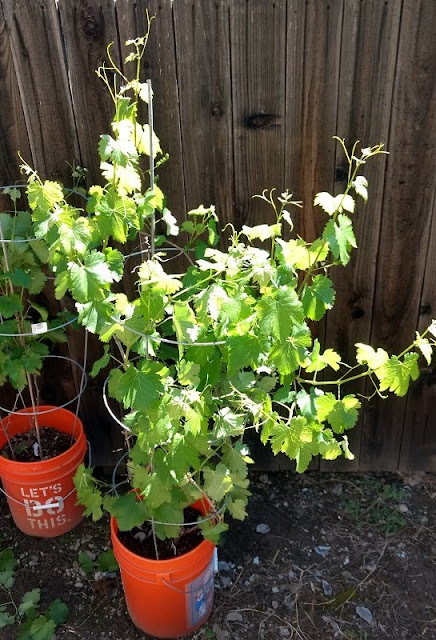 I couldn't move my Syrah vine though as it has rooted in the ground. As my #1 producer so far, I think I'll wait until dormancy before upsetting its foundation. My new vines for 2017 are mostly Spanish varieties. 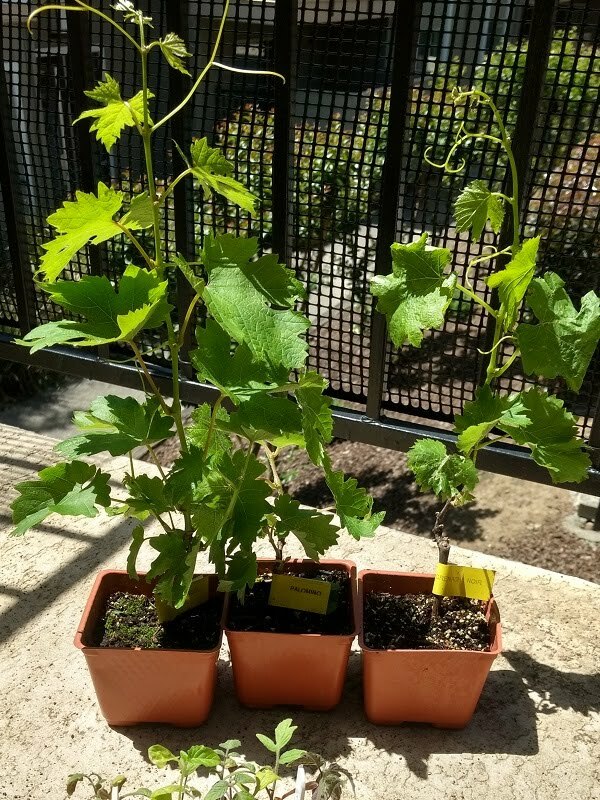 Three new vines have been added: Palomino, Grenache Noir, and Zinfandel. That brings my total count of grapevines up to 12, with all but 2 being unique (I now have 2 Zinfandel vines).